All of us have heard (or said) familiar Christian axioms that try to communicate wisdom in a few memorable phrases: “God won’t give you more than you can handle.” “God helps those who help themselves.” “Everything happens for a reason.” “God is my co-pilot.” Most of these sayings have enough truth in them to make them sound believable, but they contradict the larger arc of Biblical teaching. Big Idea: God will help you handle all you’ve been given. Big Idea: God can use everything that happens for a reason. Big Idea: If God is your co-pilot, switch seats! 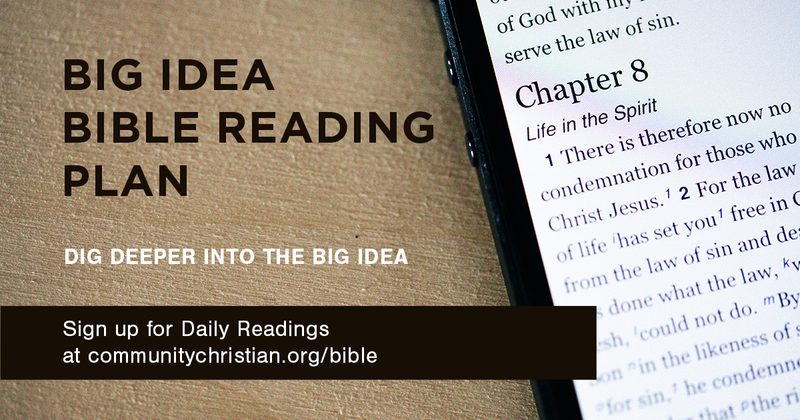 Dig deeper into the Big Idea through daily Bible readings that reinforce the weekend message. Sign up for daily emails, or download the plan.